1. Seemayer, T.A. Polymerase chain reaction. Pediatr. Pathol. 1990, 10 (3), 311-317. 2. Gyllensten, U.B. PCR and DNA sequencing. BioTechniques 1989, 7 (7), 700-708. 3. Sandhu, G.S. ; Precup, J.W. ; Kline, B.C. Rapid one-step characterization of recombinant vectors by direct analysis of transformed Escherichia coli colonies. BioTechniques 1989, 7 (7), 689-690. 4. Ling, M.; Merante, F.; Robinson, B.H. A rapid and reliable DNA preparation method for screening a large number of yeast clones by polymerase chain reaction. Nucleic Acids Res. 1995, 23 (23), 4924-4925. 5. Woods, C.R. ; Versalovic, J.; Koeuth, T.; Lupski, J.R. Whole-cell repetitive element sequence-based polymerase chain reaction allows rapid assessment of clonal relation ships of bacterial isolates. J. Clin. Microbiol. 1993, 31 (7), 1927-1931. 6. Wang, G.; Clark, G.C. ; Taylor, T.M. ; Pucknell, C.; Barton, C.; Price, L.; Woodward, D.L. ; Rodgers, F.G. Colony multiplex PCR assay for identification and differentiation of Campylobacter jejuni, C. coli, C. lari, C. upsaliensis, and C. fetus subsp. fetus. J. Clin. Microbiol. 2002, 40 (12), 4744-4747. 7. Poh, C.L. ; Ramachandran, V.; Tapsall, J.W. Genetic diversity of Neisseria gonorrhoeae IB-2 and IB-6 isolates revealed by whole-cell repetitive element sequence-based PCR. J. Clin. Microbiol. 1996, 34 (2), 292-295. 8. Kocagoz, T.; Yilmaz, E.; Ozkara, S.; Kocagoz, S.; Hayran, M.; Sachedeva, M.; Chambers, H.F. Detection of Myco-bacterium tuberculosis in sputum samples by polymerase chain reaction using a simplified procedure. J. Clin. Microbiol. 1993, 31 (6), 1435-1438. 9. Afghani, B.; Stutman, H.R. 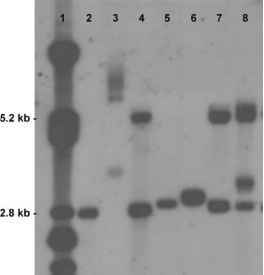 Polymerase chain reaction for diagnosis of M. tuberculosis: Comparison of simple boiling and a conventional method for DNA extraction. Biochem. Mol. Med. 1996, 57 (1), 14-18. 10. Picard, C.; Ponsonnet, C.; Paget, E.; Nesme, X.; Simonet, P. Detection and enumeration of bacteria in soil by direct DNA extraction and polymerase chain reaction. Appl. Environ. Microbiol. 1992, 58 (9), 2717-2722. 11. Wilson, I.G. Inhibition and facilitation of nucleic acid amplification. Appl. Environ. Microbiol. 1997, 63 (10), 3741-3751. 12. Rogers, B.B. Nucleic acid amplification and infectious disease. Human Pathol. 1994, 25 (6), 591-593. 13. Lee, A.B. ; Cooper, T.A. Improved direct PCR screen for bacterial colonies: Wooden toothpicks inhibit PCR amplification. BioTechniques 1995, 18 (2), 225-226. 14. Liebana, E.; Aranaz, A.; Mateos, A.; Vilafranca, M.; Gomez-Mampaso, E.; Tercero, J.C.; Alemany, J.; Suarez, G.; Domingo, M.; Dominguez, L. Simple and rapid detection of Mycobacterium tuberculosis complex organisms in bovine tissue samples by PCR. J. Clin. Microbiol. 1995, 33 (1), 33-36. 15. Eisenach, K.D. ; Sifford, M.D. ; Cave, M.D. ; Bates, J.H. ; Crawford, J.T. Detection of Mycobacterium tuberculosis in sputum samples using a polymerase chain reaction. Am. Rev. Respir. Dis. 1991, 144 (5), 1160-1163. 16. Brisson-Noel, A.; Aznar, C.; Chureau, C.; Nguyen, S.; Pierre, C.; Bartoli, M.; Bonete, R.; Pialoux, G.; Gicquel, B.; Garrigue, G. Diagnosis of tuberculosis by DNA amplification in clinical practice evaluation. Lancet 1991, 338 (8763), 364-366. 17. Pao, C.C. ; Yen, T.S. ; You, J.B.; Maa, J.S. ; Fiss, E.H.; Chang, C.H. Detection and identification of Mycobacte-rium tuberculosis by DNA amplification. J. Clin. Micro-biol. 1990, 28 (9), 1877-1880. 18. Wilson, S.M. ; McNerney, R.; Nye, P.M.; Godfrey-Faussett, P.D. ; Stoker, N.G. ; Voller, A. Progress toward a simplified polymerase chain reaction and its application to diagnosis of tuberculosis. J. Clin. Microbiol. 1993, 31 (4), 776-782.